WCBS Newsradio 880 News & Programming Director Tim Scheld presents Ed Ingles with FMC’s Lifetime Achievement Award. Photos by Bob Giglione. Two standing ovations for Lifetime Achievement Award recipient, longtime radio sports director Ed Ingles. 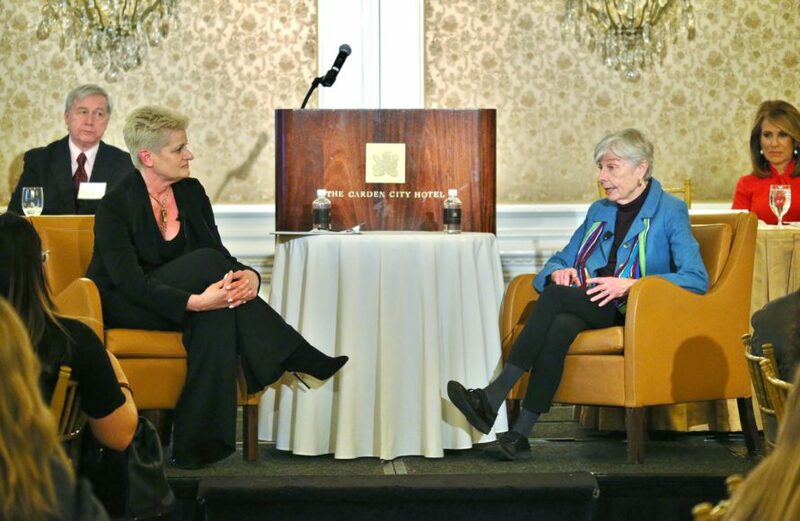 A compelling and charming conversation with Eleanor Clift, accented by audience applause and laughter in seemingly equal measure. A dais filled with distinguished guests representing television, radio, cable, newspaper and digital news. A special performance by Christian Guardino, which brought the audience to its feet. 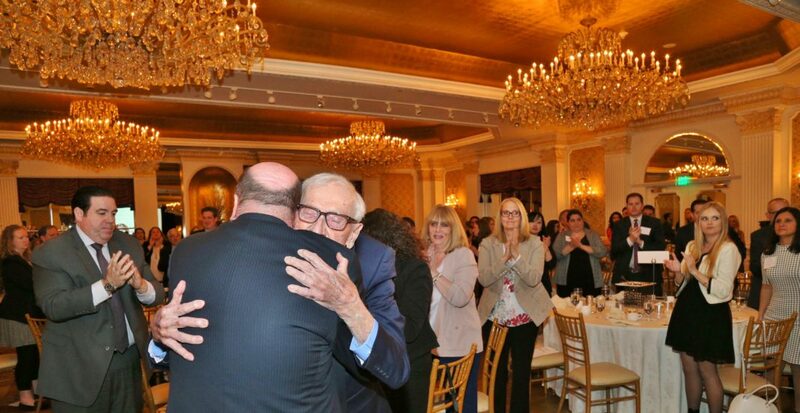 An audience made up of the who’s who in Long Island and New York metro area media as well as business and community leaders from all walks of life. All against a backdrop of about 50 Folio Awards being awarded to the best in news and social media, as chosen by the ultimate critic: the media-savvy news consumer. 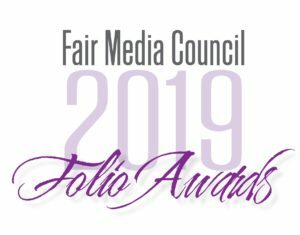 The Fair Media Council congratulates the winners and thanks our judges, sponsors, supporters, and members for creating a memorable event with far-reaching impact to improve the quality of the public conversation. 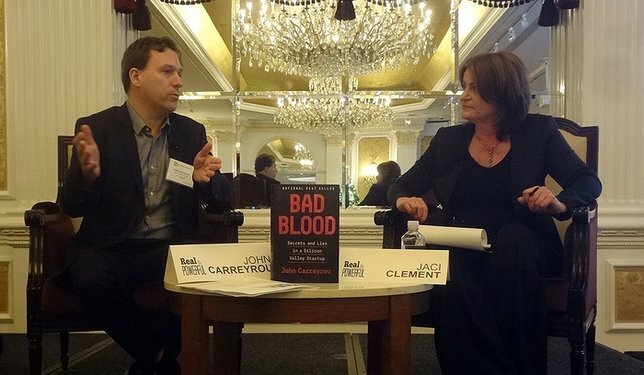 The Wall Street Journal’s John Carreyrou took an appreciative audience behind the scenes of his work to uncover the fraud behind Theranos. John’s pictured with Jaci Clement, CEO, Fair Media Council. 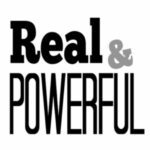 The Fair Media Council’s annual event, “The News Conference: Real & Powerful,” brings national, regional and local media and the community together for a day of open dialogue. Fair Media Council advocates for quality news & works to create a media-savvy society in a media-driven world. FMC is a 501c3 nonprofit organization headquartered on Long Island, N. Y.